win a bass pro shops door prize! Pre-Registration: Encouraged, but not required. Fill out the form below! 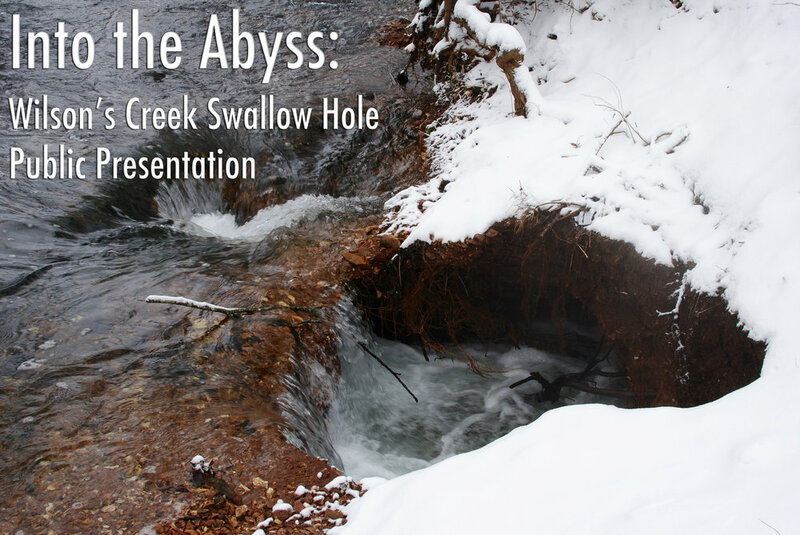 Thank you for registering to come to the "Into the Abyss: Wilson's Creek Swallow Hole - Public Presentation." We look forward to seeing you on Wednesday, February 21st at 6:00pm.